As a business owner, my professional conversations with physicians run the gamut, from how my business services can solve their problems, to exchanging ideas and best practices, and offering support in starting and growing a business. I get the feeling that physicians running a medical practice often feel like they have a target on their back because staffing, management, regulations, documentation, and reimbursement have become such big parts of medicine. Building a business requires tremendous time, money and effort in order to become profitable. The compliance landscape shifts and evolves. Today, a HIPAA Security Risk Analysis has become paramount for almost any medical practice to collect state and federal reimbursements. An often overlooked benefit, however, is the Security Risk Analysis, which can improve the efficiency and professionalism of these same practices. But how does complying with HIPAA help? 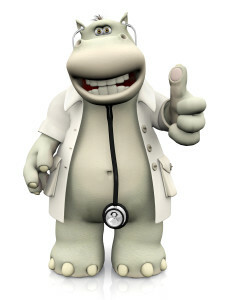 First, HIPAA Security is greatly misunderstood. HIPAA was originally conceived because patients were not able to access their own health information. 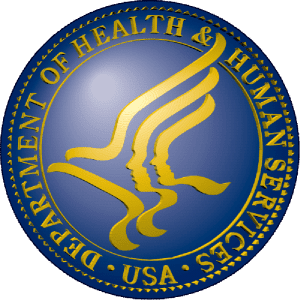 Today, HIPAA enforcement is the main driver to ensure we don’t mishandle or otherwise treat patient’s protected health information (PHI) with neglect—willful, or not. Policies and Procedures establish a code of conduct on how staff should represent the clinic in day-to-day interactions with patients. 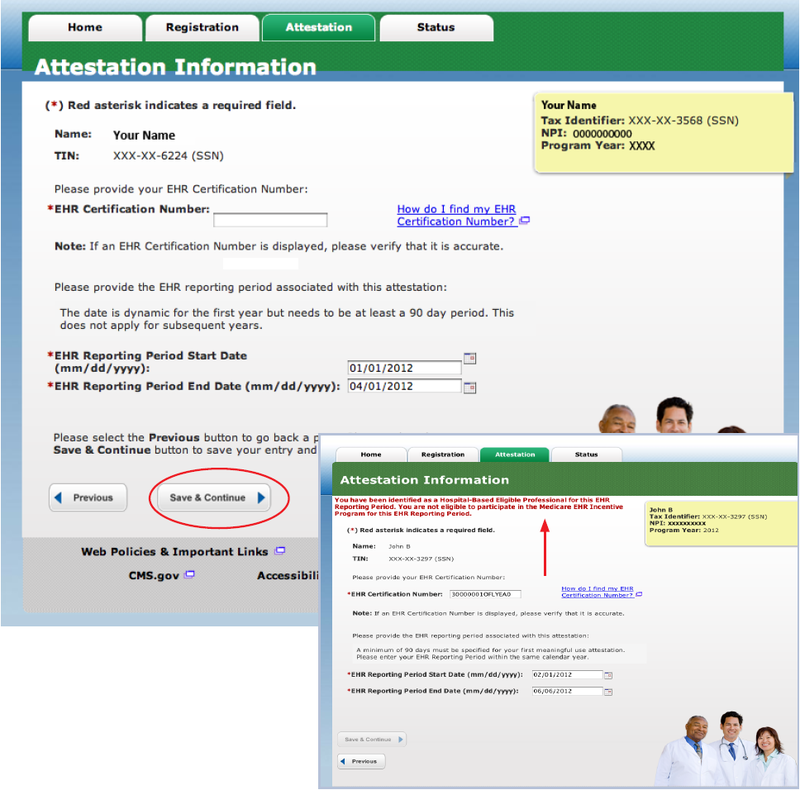 Assurance that the IT department makes Electronic Medical Records available (e.g. performance, backups and recovery), complete, accurate and confidential. A clear baseline on how to handle all aspects of patient releases, authorizations, business associates and internal operations. One aggregated place for information about patient visits can contribute to population health research and disease management. Encryption of laptops, desktops, smartphones and all portable media can reduce the risk of having to report a breach by up to 68% (according to OCR breach data for theft, loss and improper disposal). 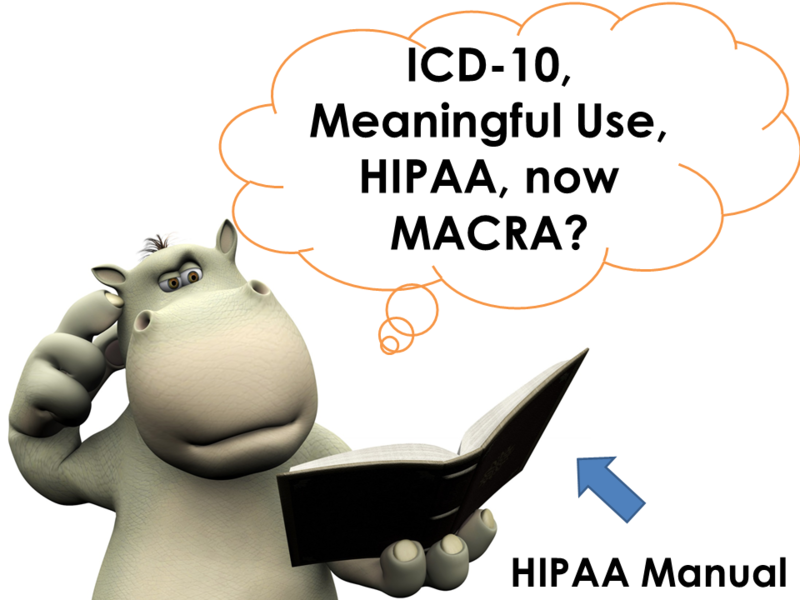 Meaningful Use provides incentives and ongoing reimbursements (soon to become MACRA). Staff attire, name badges and a proper patient waiting area separate from the clinic complies with HIPAA and improves the professional look and feel of the clinic. Training and employee awareness reinforces policies and procedures which drives improved moral and reduces risk to the clinic. Conducting a HIPAA Security Risk Analysis covers Administrative, Technical and Physical (PAT) safeguards and provides a snapshot into where the clinic is performing well and where improvements are needed. If a HIPAA Security Risk Analysis is the snapshot, then the “moving picture” is the ongoing process of improving gaps in compliance, not only to reduce the chances of a security breach but also to improve the efficiency of the health care organization. For a quick 5-minute assessment, take our high-level HIPAA Security Assessment quiz and see how your practices measures-up to the the top 13 HIPAA items typically missed. Contact us today to learn how to get more of a return on investment in HIPAA than simply, “checking the box”. 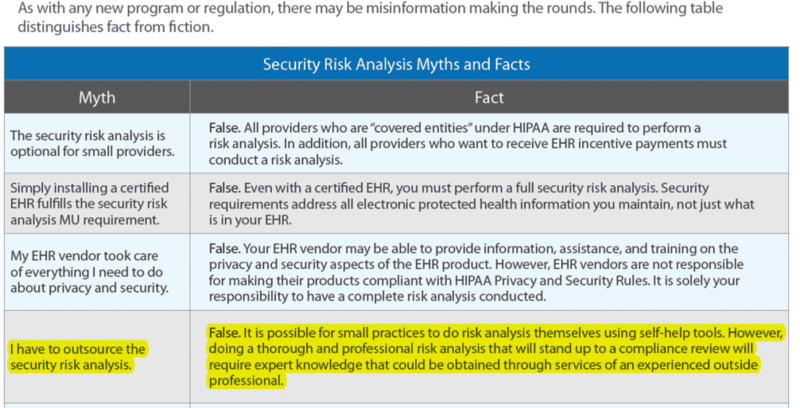 Meaningful Use 2015: When does the Security Risk Analysis Need to be Done? Meaningful Use (MU) is an incentive program introduced and managed by the Department of Health and Human Services, Centers for Medicare and Medicaid Services (CMS) to help cover expenses with migrating from paper charts to electronic medical records. It’s part of a larger incentive program derived from the 2009 “American Reinvestment and Recovery Act” which was enacted to help stymie a financial system collapse while stimulating the economy following the mortgage-backed security crisis. 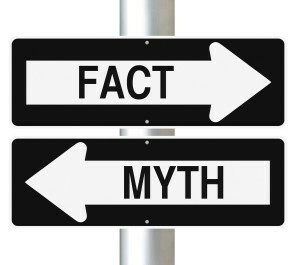 Most clinics and hospitals have become very familiar with the “Meaningful Use” term. Essentially, it means using a Certified Electronic Health Technology (CEHRT) in a meaningful way. Specifically, the Meaningful Use incentive program for Stage 1 started in 2011 and Stage 2 has been live for 2 years now, while Stage 3 is being released. All Stages require Core, Menu and Optional Menu Set measures. This basically boils down to specific pieces of information maintained per-patient, how computerized order entries are used and processed for a percentage of patients. The reporting period is when the measures are taken. In the first year of attestation, it is any 90-day period in the fiscal year, subsequent years are based upon 365 days of reporting. Recent proposed changes reduce the reporting period back to the original 90-day measurement period per CMS. 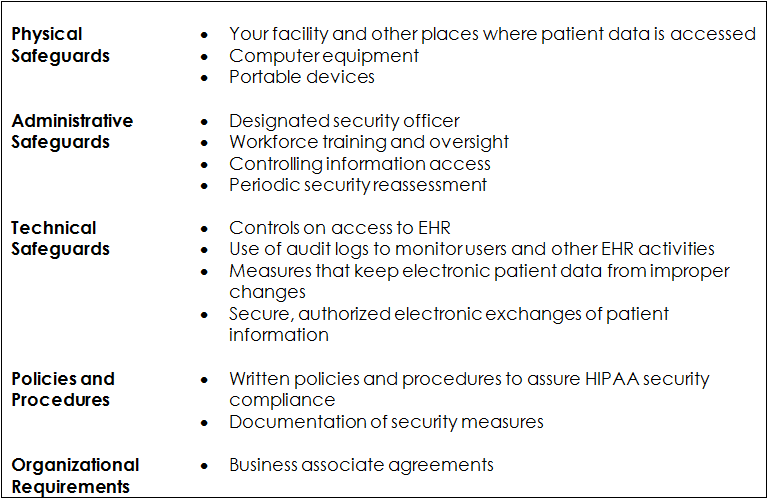 When do we have to get our HIPAA Security Risk Analysis(SRA) and Updates done? The initial risk analysis for 1st year of Stage 1 MU can have it done within one fiscal year of the end of the reporting period. 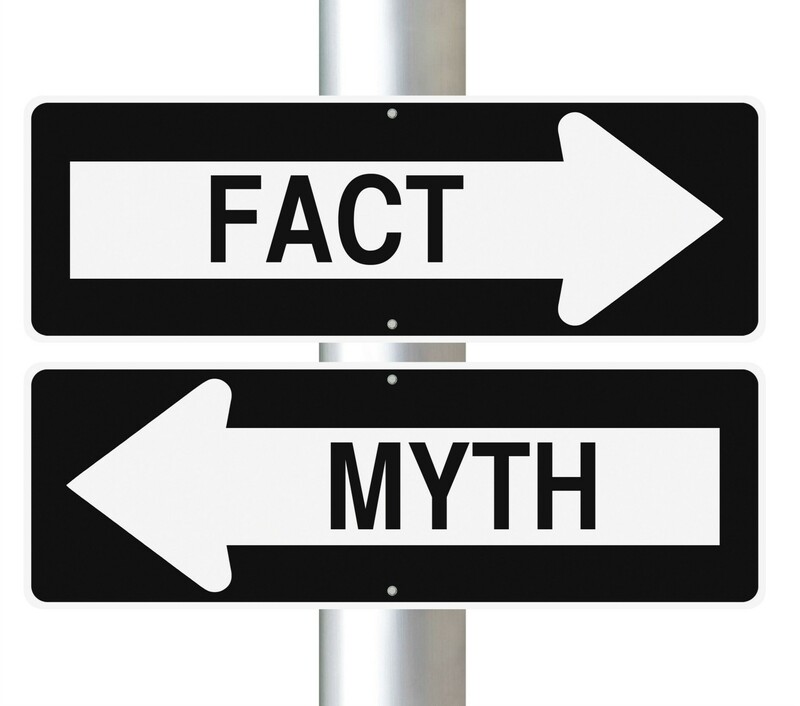 Myth: Each year, I’ll have to completely redo my security risk analysis. 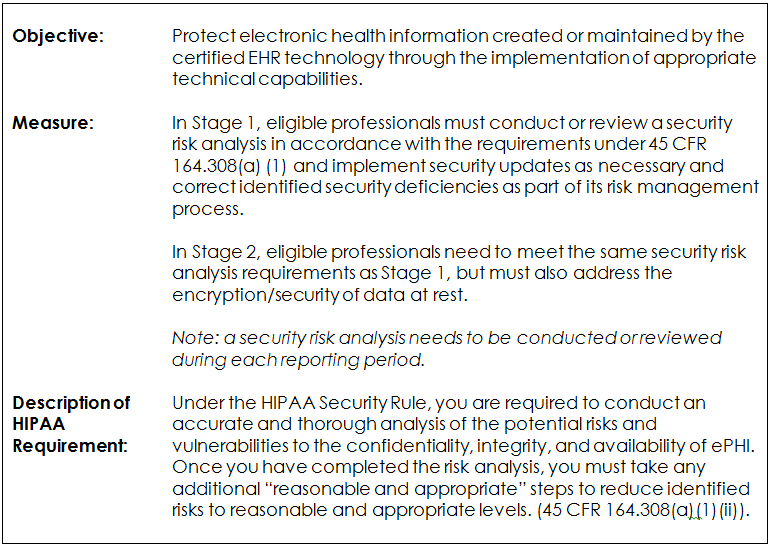 Perform the full security risk analysis as you adopt an EHR. Each year or when changes to your practice or electronic systems occur, review and update the prior analysis for changes in risks. 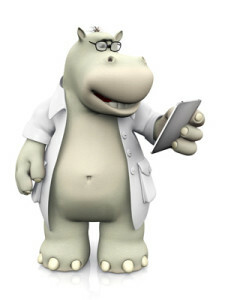 Under the Meaningful Use Programs, reviews are required for each EHR reporting period. For Eligible Physicians (EPs); the EHR reporting period will be 90 days or a full calendar year, depending on the EP’s year of commencing participation in the program. 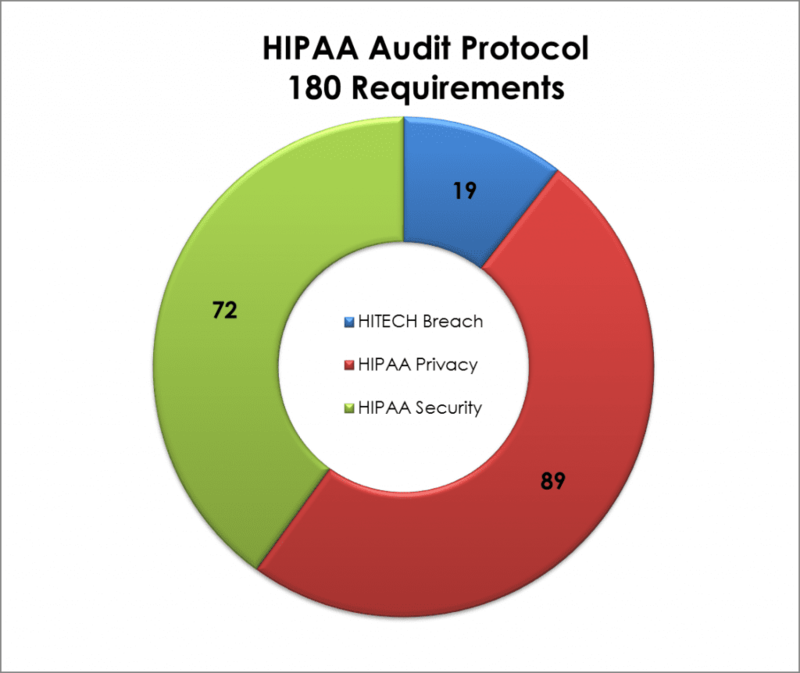 A full HIPAA Security Risk Analysis covers all 78 HIPAA Safeguards. Subsequent “updates” would be directly translated to run a full SRA on all items that have changed. Our software has the ability to populate this year’s SRA with last year’s materials (Turbo Tax® – like) such that users may review and update changes from last year and recompiling risk to the organization with minimal effort. 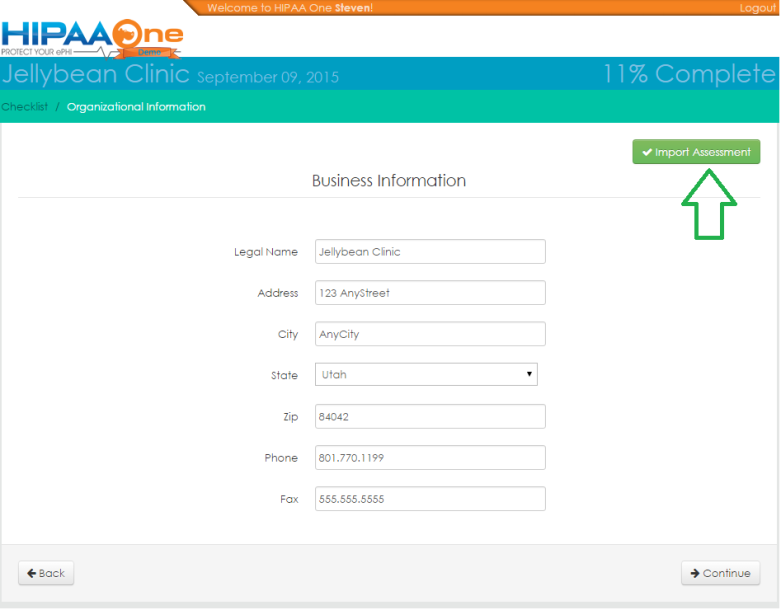 HIPAA One® is the solution to simplifying complex compliance requirements. It provides seasoned security experts and those without any security experience the ability to conduct a full HIPAA Security Gap Assessment and Risk Analysis and rapid delivery of updates for subsequent years. We recommend a full SRA be conducted at least every 3 years with updates each of the years in-between. This is the only way to gauge compliance and the effectiveness of ongoing risk management for the organization. For Meaningful Use, the 1st year of incentive payments allow the use of a HIPAA SRA that is within 1 year of attestation, and subsequent updates being completed within the subsequent reporting periods. The tool’s design lends itself to physician and small health provider practices. It is not designed for health plans or business associates. A single office location is requested when setting up an SRA but the SRA Tool question set does not address locations. Thus, by default the tool is location specific so it does not lend itself to health care providers with multiple locations. User access to the tool is completely based on the honor system. The ability to restrict specific user activity within the tool does not exist and the ability to track specific user activity within the tool is very limited. While there is functionality that distinguishes separate users who can each “Log In” (i.e. so that there is the appearance of multiple user “accounts”), there are no passwords assigned to these users so any user can log in as any other user. Moreover, the tool user guide states “the SRA Tool will save the answers based on the internet protocol (IP) address used by the computer or server”. Yet, the tool is not client-server or cloud based, so it is unclear how a team or group of people would use the tool, much less monitor or audit its use. HHS’ website states that “there are a total of 156 questions” and the tool’s navigator panel shows that these are contained in 12 groups or categories. However, each of the 156 questions has questions of their own so that complete answers (which the tool apparently doesn’t require) causes that number (156) to be multiplied at least by 3 for answering a question “Yes”, by 4 for answering a question “No”. For example, answering “No” to the first question (A01) requires the user to answer a total of three additional questions: 1) Select your reason for answering no, 2) Is the likelihood of an incident occurring — because of (the vulnerability posed by) not having the requested policies and procedures — low, medium or high?, and 3) Would the impact of an incident occurring — from not having the requested policies and procedures — be low, medium or high? There is also an optional “Flag” checkbox to call attention to a question for later review. Answers marked “Yes” can be saved without citing evidence and answers marked “No” can be saved without adding an explanation, including “Addressable” questions. If multiple people are involved in performing the SRA (which HHS recommends) this seems to be undesirable. Questions are not specific to individual EMR systems, so answering questions for multiple EMR or ePHI systems is something that can only be addressed manually in the answer notes provided for questions that pertain to ePHI systems. 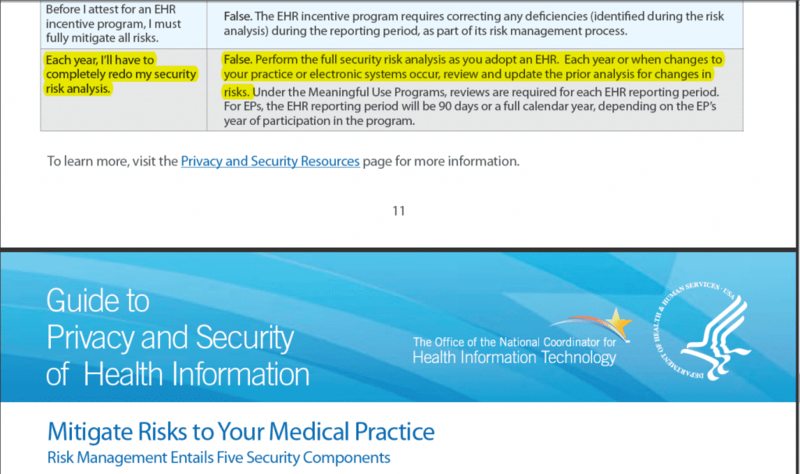 The tool’s website downloads page (http://www.healthit.gov/providers-professionals/security-risk-assessment-tool) states “You can document your answers, comments, and risk remediation plans directly into the SRA Tool. 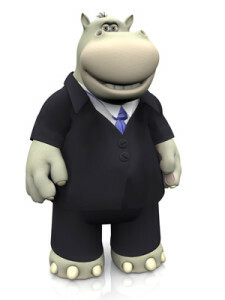 The tool serves as your local repository for the information and does not send your data anywhere else.” However, artifact curation is not possible within the tool, so the SRA artifact repository that supplies the evidence of compliance an auditor may want to see would need to be referenced within the tool’s free text fields and set up separately. The tool’s risk rating assistance is quite limited. The tool’s risk rating for a given question (as reflected in the SRA report) appears to be based strictly on the “Likelihood” rating that the user sets manually for that item, regardless of the question. Thus, a manually assigned “Impact” rating of High or Medium does not (appear to) affect the risk rating in the SRA Report. Be careful adding anything into the Notes field on the Notes tab. Notes can only be added. They cannot be modified or deleted. There is a bug in the version I tested (Windows version v1.3) where, if you try to modify the columns in the report using the “Show / hide columns” feature, the columns popup-box does not disappear and will be in the way until the user closes and re-starts the app. 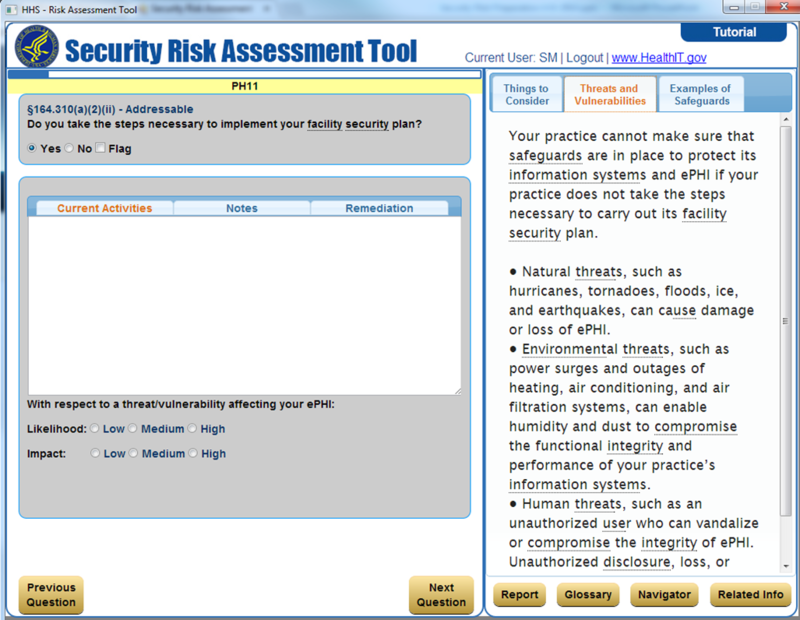 Other upgrades to the ONC’s Security Risk Analysis Tool include: a colorful green-yellow-red dashboard-style chart, a glossary of terms and other helps like “Things to Consider”, possible threats and vulnerabilities, and examples safeguards for each question asked. It will probably speed up the HIPAA SRA process for small providers who want to “go it alone”. However, outside the scope of small, single location practices, the SRA Tool will be difficult to use. Feel free to visit the SRA Tool’s website downloads page (http://www.healthit.gov/providers-professionals/security-risk-assessment-tool) and feel free to express your opinion on our website below. Steven Marco, CISA, ITIL and co-authored by Joe Grettenberger, CISA, CCEP, ITIL.